Individual bathrooms to each queen sized bedroom. No more shared bathrooms! We know that no matter how much you love your family and friends, you also love your privacy. 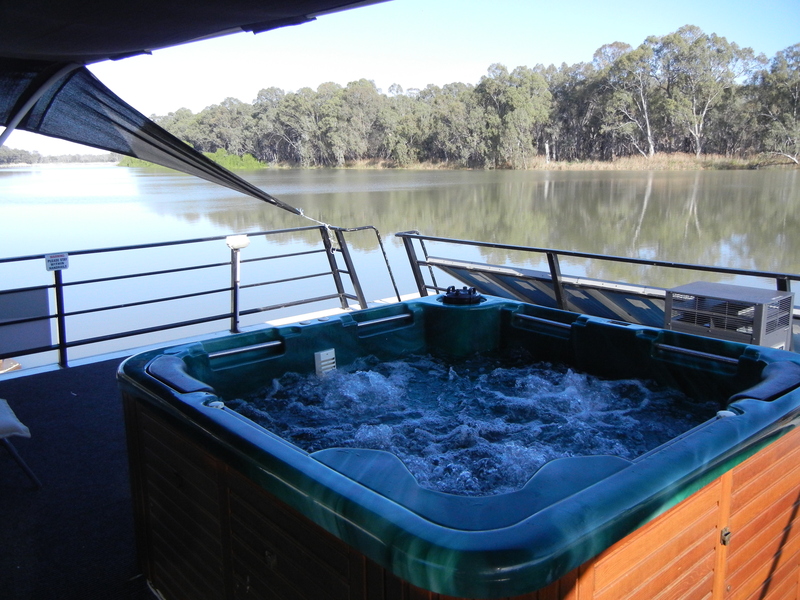 A Houseboat Hire holiday with Quality Houseboats on the Murray River in the Riverland is wonderful any time of the year. 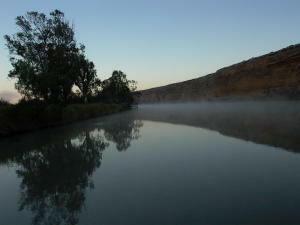 The Murray River is a true river nature retreat. 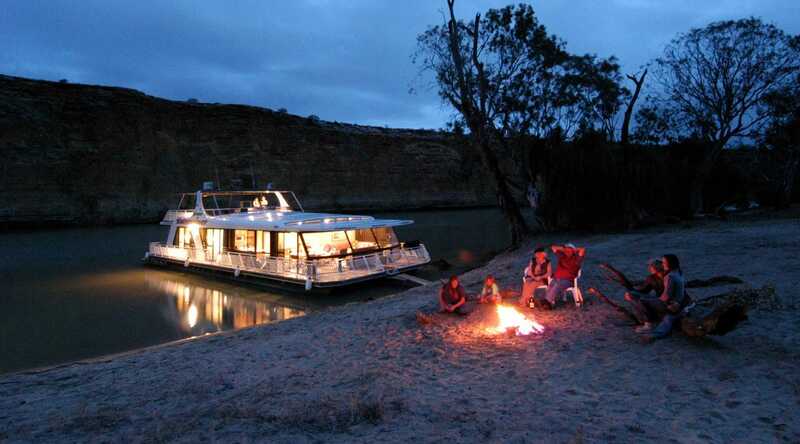 When it comes to a Murray River cruise in South Australia, the right houseboat hire in the Riverland can make all of the difference for your adventure so you can truly relax and enjoy the spectacular scenery and amazing reflections on the water. Discover the magnificent cliffs, prolific bird and wildlife and stunning sunsets and sunrises. The best part about houseboating in the Riverland is that there are so many locations to pull up and relax and gaze at the stars from the top deck at night time. With Quality Houseboats, you and your guests can hire a houseboat and cruise the Murray River in complete comfort, having an unforgettable experience, enjoying the luxury of a separate ensuite bathroom for each queen sized bedroom. 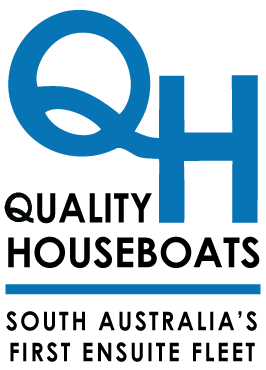 Quality Houseboats have been inducted into the South Australian Tourism Hall of Fame after winning the award for Unique Accommodation 3 years in a row. Murray Explorer is moored at Paringa above Lock 5, just out of Renmark in the heart of the Riverland, so there is always plenty of water. Renmark and Paringa boast some of the best natural beauty of the Murray River. Paringa is only a 3 hour drive from Adelaide and a wonderful part of the Murray River to explore. Murray Explorer has stairs for easy access to the gas heated spa and upstairs outdoor dining area. Paringa is from an Aboriginal word meaning "big bend in the river". The Paringa Suspension Bridge was opened in 1927 and is only one of five spanning the Murray River in South Australia. You travel under it when leaving the marina, a great way to start your holiday ! On your way to Paringa why not stop at Caudo Vineyard between Morgan and Waikerie. It is the perfect destination to sample some of their local produce, visit their cellar door, even get a vineyard tour. The vast lawned area provides the perfect setting on the river bank to enjoy a bottle of wine or two. Bookings are essential so please contact Jasmine at Caudo Vineyard Cellar Door on 0418 715 661 before you arrive to ensure you have an amazing visit. Caudo Vineyard are open Tuesday to Sunday 10.30-5. You must call ahead to make sure there are no weddings or private functions on to avoid disappointment!